The Turtl is the Ultimate Crawl Space Door and Crawl Space Entry System. Appropriate for new or existing crawl space entries, the Turtl will help protect your home’s crawl space from deterioration. Click Here to see the big picture! Click here to view the Turtl Specification Sheet. Protects your crawl space from moisture and water damage. Provides easy access to your crawl space. Built to last, and designed to be safe and attractive. Appropriate for new or replacement crawl space installations. 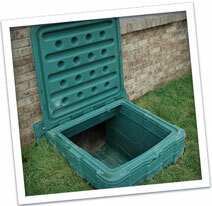 Eliminates the need for a crawl space door and access pit. Click here to review the International Resident Code. © 2017 Turtl Enterprises L.L.C.